The Lorne Cinema was constructed in 1937 and opened the same year in a central and prominent location in the popular seaside resort. It has operated continuously as a cinema since that time. It was opened by the Lorne Picture Theatre Company, which was established as early as 1915 by Lorne residents, including photographer Albert Jarratt. The first picture theatre was subsequently built on the Lorne foreshore in 1916, and its popularity resulted in the construction of a larger theatre adjacent to it. Talking pictures were shown by the late 1920s and the decision to build the present theatre in a new location on the foreshore was made a decade later. The completion of the Great Ocean Road in 1932 encouraged tourists to the town and would have influenced this decision. The two storey rendered concrete facade is Art Deco in style. The plain symmetrical upper facade is divided vertically into five sections with the central protruding bay incorporating a vertical name sign, flanking recessed panels with vertical members or windows, and a parapet composed of horizontal strips above. The flanking side bays are recessed at the corner of the building and are devoid of decoration except for a small window low on the facade and a horizontal decorative motif above. Shops flank the central theatre entrance. The simple Art Deco interior of the building retains a high degree of integrity. 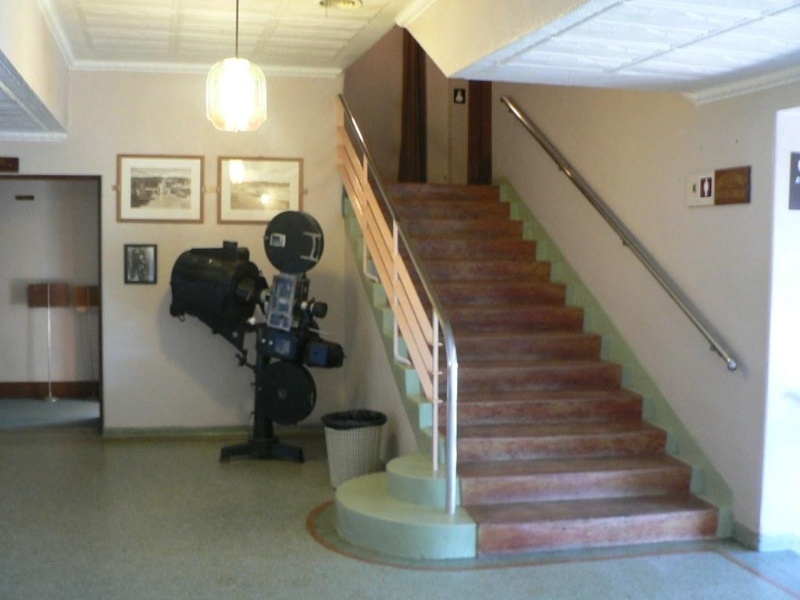 Original finishes include terrazzo floors, geometrically patterned ceiling panels, simple metal balustrading and carpets, and fixtures such as seating and lighting. The Lorne Cinema is of architectural and historical significance to the State of Victoria. The Lorne Cinema is of architectural significance as a modest example of a purpose-built theatre in the Art Deco style. It is a rare example of a cinema that retains the single screen format and of the Moderne style used in a rural location. 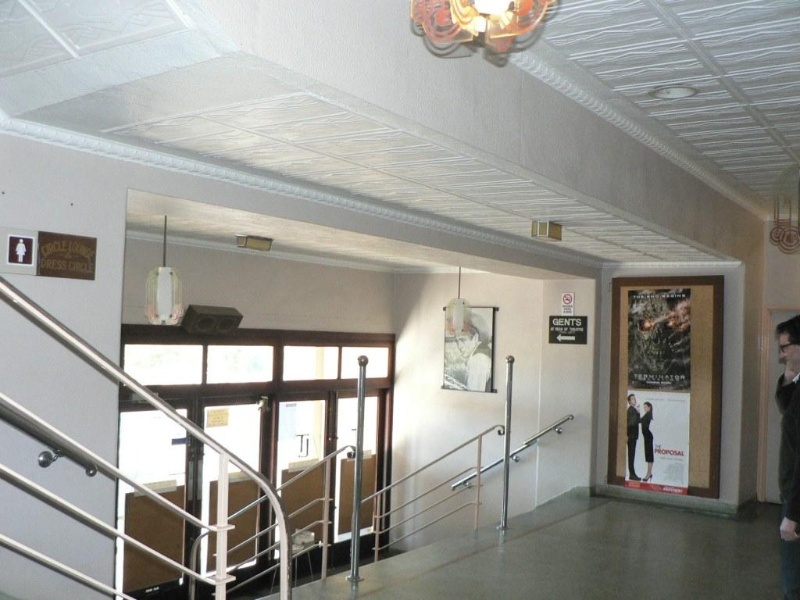 The high degree of integrity of the interior and exterior of the Lorne Cinema demonstrates its continuous use as a cinema and the characteristics of this type of place. The Lorne Cinema is of historical significance for its association with the development of one of Victoria's premier seaside resorts, particularly after the opening of the Great Ocean Road in 1932 and for its association with a major form of popular entertainment in the twentieth century. It reflects the popularity of this form of entertainment in country Victoria from the late 1930s to the 1950s. 1. All of the building marked B1 on Diagram 2230 held by the Executive Director. 2. All of the land marked L1 on Diagram 2230 held by the Executive Director being all of the land described in Certificate of Title Volume 9499 Folio 308. The late 1930s were important years for the resort town of Lorne with increasing numbers of tourists flocking there in the summer season after the completion of the Great Ocean Road. The Chalet and the Cumberland opened during the same era as the new Lorne Cinema. The events that led to the opening of the cinema are told in the history of the Jarratt family, pioneer photographers and cinema proprietors. This history compiled by Lyn Jarratt between 1986 and 1991 is held by the Lorne Historical Society. Albert Jarratt (1886-1962) was born at Ruby near Leongatha in Gippsland. He was the youngest of a large family of 11 boys and two girls. The Jarratts ran a butcher's shop and farm, some of the older boys working in the timber industry. Albert went to the Ruby State School but had to leave at an early age to help at home. However, the local schoolmaster, Mr Mead, took an interest in the boy and taught him about electricity and photography. Albert became a competent photographer and found employment with a postcard publishing company in Melbourne. As a result, he travelled to beauty spots all over Victoria, much of it by foot. In 1908, he was sent to Lorne and liked it so much, he gave up his job and decided to stay there. In 1910, Albert set up a photography business at Lorne. He sold photos of Lorne and group photos of visitors to various beauty spots, such as Erskine Falls and the Phantom Falls. Many Jarratt photographs have survived, including a number made during the construction of the Great Ocean Road. After Jarratt installed an electric light plant for his business (most probably the first in Lorne), Winchelsea Shire Council commissioned him to install street lights throughout the town. He bought a larger oil engine and generator, and a set of batteries, and ran wires from the bridge to the Pacific Hotel with poles carrying street lights. This early electric supply later went to Erskine House, Carinya, and many guest houses and private homes. Eventually, the Shire and, later, the S.E.C. took over the supply of electricity to Lorne township. In 1915 Albert married Mary Ethel Seymour in All Saints Church with a reception at Carinya. During the same year, a travelling picture show came to Lorne. The owner was in financial trouble and offered his equipment for sale. Following its formation, the Lorne Picture Theatre Company bought him out. They built a first picture theatre on a large block of land on the Lorne foreshore, part of the Mounjoy Erskine House property. Opening night was in late 1916. This theatre showed silent films supplied at first by Jack McFarland, a friend of Jack Anderson, who owned the Yarraville Picture Theatre. Albert was the projectionist and the original machine was a French 'Pathe', hand operated. Light was provided by a carbon arc. The audience sat on forms and a pianola provided the music. This theatre proved to be so popular, particularly during the holiday seasons, that it was decided to build a larger one alongside. It was about twice as large and had a dress circle and more comfortable seating. The old building became a dance hall known as "The Beach Hall". It is shown on the 1938 Winchelsea Shire Engineer's Plan of Lorne Township in Mountjoy Parade next to the San Toy Cafe. By the end of the 1920s, the new picture theatre began to show talking pictures. A decade later, it was decided to build the present Lorne Cinema in Mountjoy Parade but on the south side of Grove Road. Albert Jarratt, whose son Lyn was born in 1916, continued to run his photography business which, over the years, also sold wool, fancy goods, china and glassware, school books, pens and pencils and souvenirs. In 1932, a dwelling had been built at the rear of the shop and this became the Jarratt family's home. Ken Todd, who has been involved in the movie industry for more than 50 years, and his wife, Nanette, bought the Lorne Cinema in 1981. 'The Picture Palace on the Coast,' as it is called by Todd and his manager, Alby Petherick, the old cinema shows a range of films from Hollywood blockbusters to art and foreign language features. Films are shown for 10 months of the year and, during the Christmas to Easter season, there are up to 5 sessions a day with as many as three different movies. The Cinema attracts large numbers of tourists and holiday-makers. This is a rare example of an intact pre-war country cinema, built in the Art Deco style in 1937 and operated continuously since then. It is one of the few remaining early single-screen movie houses left in country Victoria. The Lorne Cinema reflects the development of Lorne, one of Victoria's premier seaside resorts outside metropolitan Melbourne, after the completion of the Great Ocean Road in the 1930s. It is illustrative of one of the most popular forms of entertainment in the twentieth century, the cinema, from the late 1930s to the 1950s, particularly in the context of a holiday resort. The Lorne Cinema is a rare surviving single-screen cinema from the 1930s, particularly in a rural location. 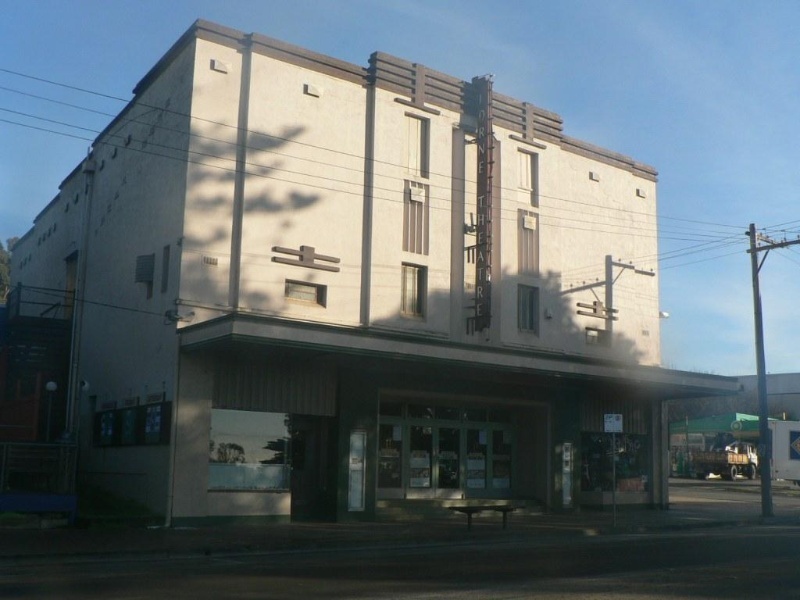 The Lorne Cinema demonstrates the original design qualities of the interwar Art Deco style and is a rare surviving and highly intact example of this style for a cinema building in Victoria. Installation, removal or replacement of projection and sound equipment, providing they do not adversely impact on significant elements, or involve structural alterations. 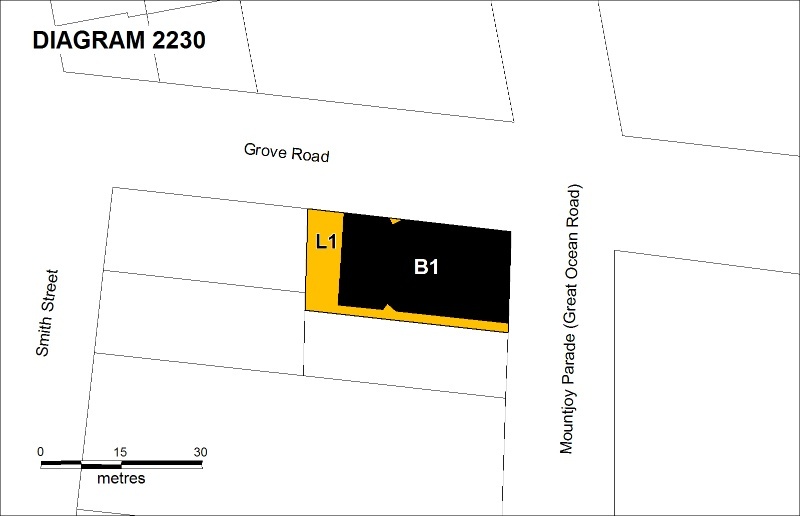 The purpose of the Permit Policy is to assist when considering or making decisions regarding works to the place. It is recommended that any proposed works be discussed with an officer of Heritage Victoria prior to them being undertaken or a permit being applied for. Discussing any proposed works will assist in answering any questions the owner may have and aid any decisions regarding works to the place. It is recommended that a Conservation Management Plan is undertaken to assist with the future management of the cultural significance of the place. 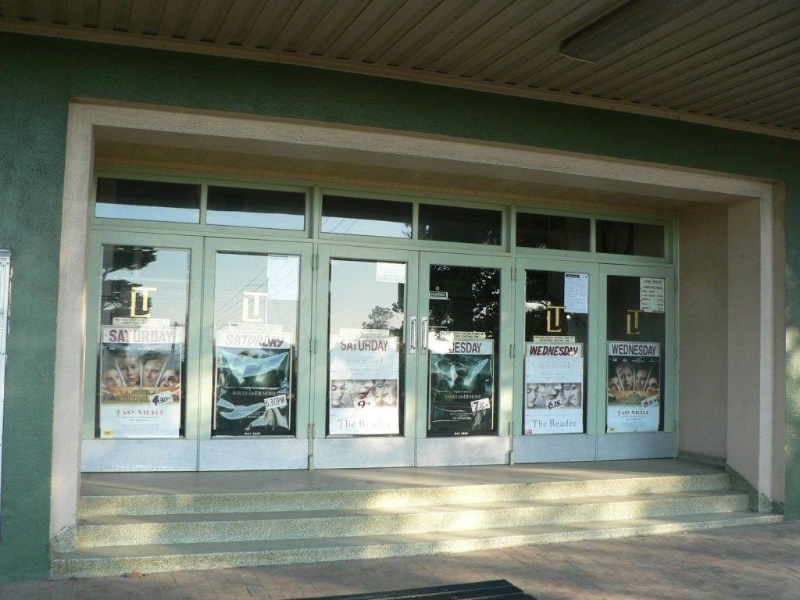 The significance of the Lorne Cinema is primarily due to its rarity for maintaining its single screen format, as a surviving example of the Art Deco style applied to a cinema building in Victoria, its historical associations with the major form of mass entertainment in the early twentieth century and as a reflection of the development of one of Victoria's premier seaside resorts. Due to its continuous use as a cinema, the building retains a high degree of integrity. Important elements include the main facade and original and early interior features, including carpets, linoleum, terrazzo floors, geometrically patterned ceiling panels, metal balustrading, general seating, private boxes, usherette seats and lights. The alteration or removal of these elements would require a permit. This is one of the joys of visiting Lorne, a wonderful place.